When I type the letter 'd' autocomplete shows two django, two debug-toolbar, and two distutils but apparently only a single version of other stuff. I am guessing I have done something wrong in my virtualenv but 'Settings:PythonInterpreters:Packages' only shows one django and one debug-toolbar'. Why am I seeing double django in autocomplete? 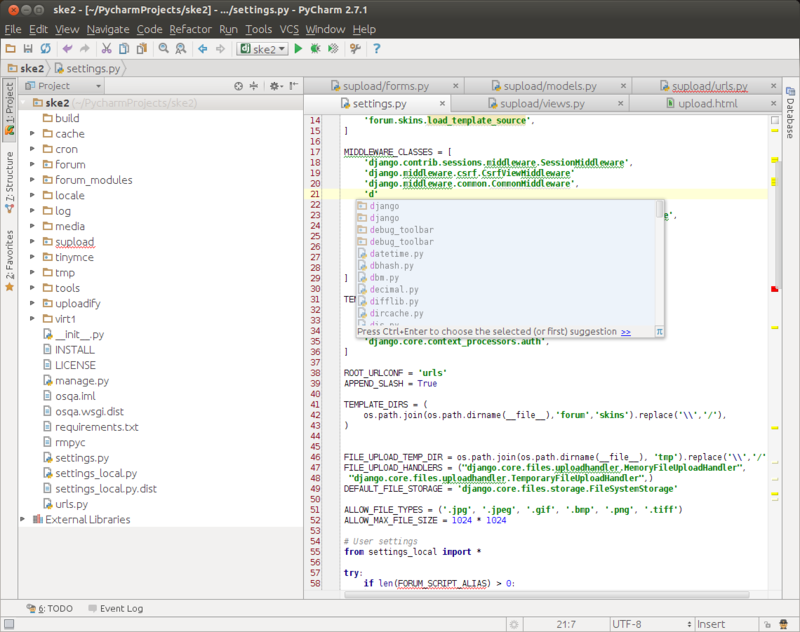 Which version of PyCharm are you using? Do you have Django installed in your main Python installation? Could you please attach a screenshot of the completion popup?